Nothing is more ‘KC’ than the newspaper. This room sports a mural of achieved images including a memo offering Ernest Hemingway employment (he accepted). 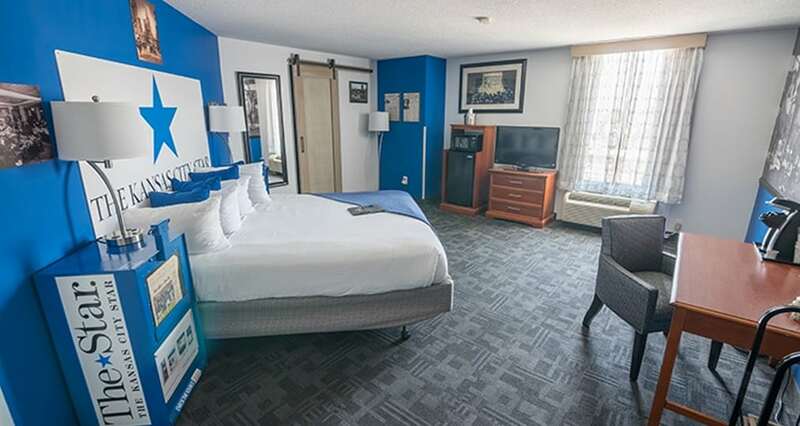 Famous Star front pages grace the walls and blue KC Star newspaper boxes serve as headboard.